Posted in 2030, Pro Vercelli, Season 2030/31. Posted in 2030, A Path Less Travelled, Clubs, Pro Vercelli, Season 2030/31. Tagged Modena, Salernitana, Spezia, Teramo. 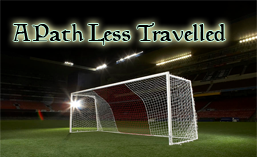 Posted in 2030, A Path Less Travelled, Clubs, Pro Vercelli, Season 2030/31. Tagged Cuneo, Latina, Pontedera, Verona. A run of disappointing results sees the leadership of BadDragon come under scrutiny. The 41 year old New Zealander has been performing better than expected however his resent results have been less than stellar. Posted in 2030, A Path Less Travelled, Clubs, Pro Vercelli, Season 2030/31. Tagged Padova, Parma, Sorrento, Triestina.